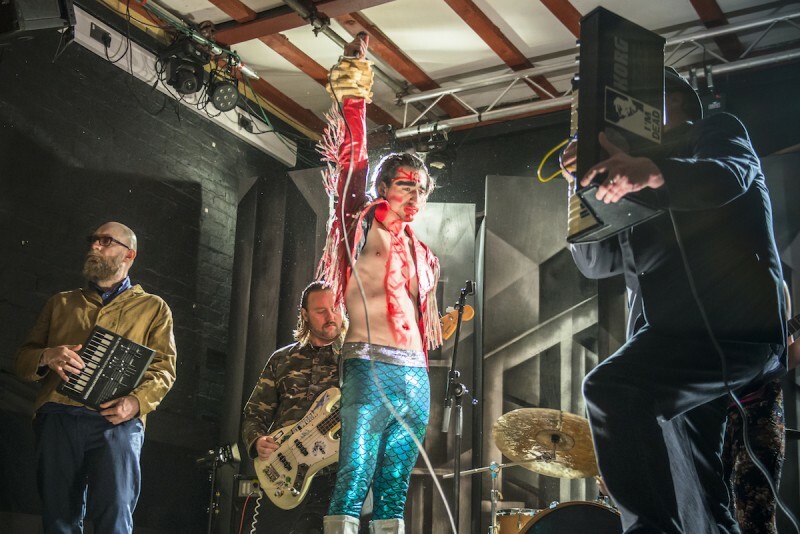 Formed from members of Fat White Family and The Eccentronic Research Council, The Moonlandingz first release on Transgressive is out today in the form of the Black Hanz EP. "[Black Hanz is] our ode to the odious little England hegemony we have suddenly found ourselves sinking into, 'Black Hanz' represents the soundings off of one Johnny Rocket, dutiful masochist and world ranking narcissist. You can't beat small mindedness into a man that revels in the fact that he is a shell of his future self, you cannot un-polish a turd!!" The single is a taster of what is to come in the new year in the form of a whole album, and is mixed by Sean Lennon (who also plays some guitar on the record) and mixed by the producer of Flaming Lips, Tame Impala and MGMT - Dave Fridmann. All four tracks from the EP can be streamed here and the 10" version preordered from our shop.